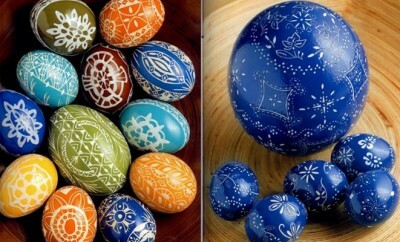 For Easter we can decorate our homes in many different ways! If you are looking for an Easter craft idea that requires little material or experience, then consider making these easy felt Easter crafts. This durable material is really versatile and is available at craft and fabric stores at a low price. It is synthetic not woven, doesn’t fray when cut and for that reason doesn’t require hemming. 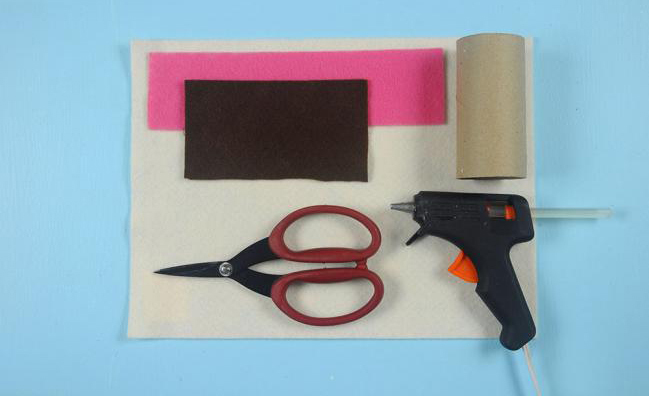 Craft felt can be sewn or glued and is ideal for children. 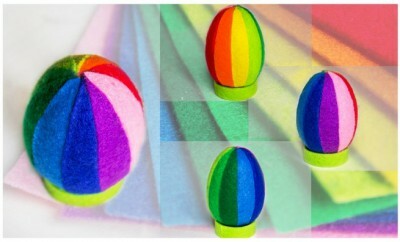 Have a look at these easy-to-make craft ideas using felt and save money on Easter decorations. 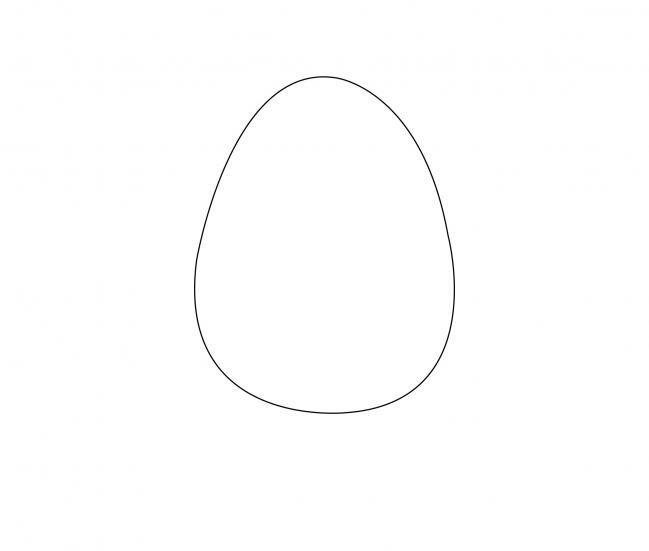 Before start making the Easter egg felt ornaments, print the egg template. 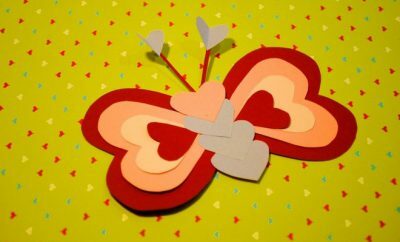 Cut out, place it on the felt and trace its outline with the marker. 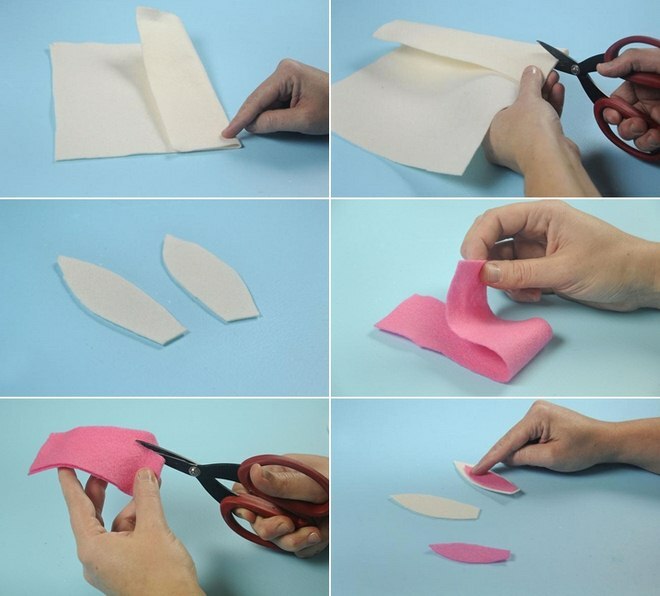 Use the scissors to cut out the felt egg. 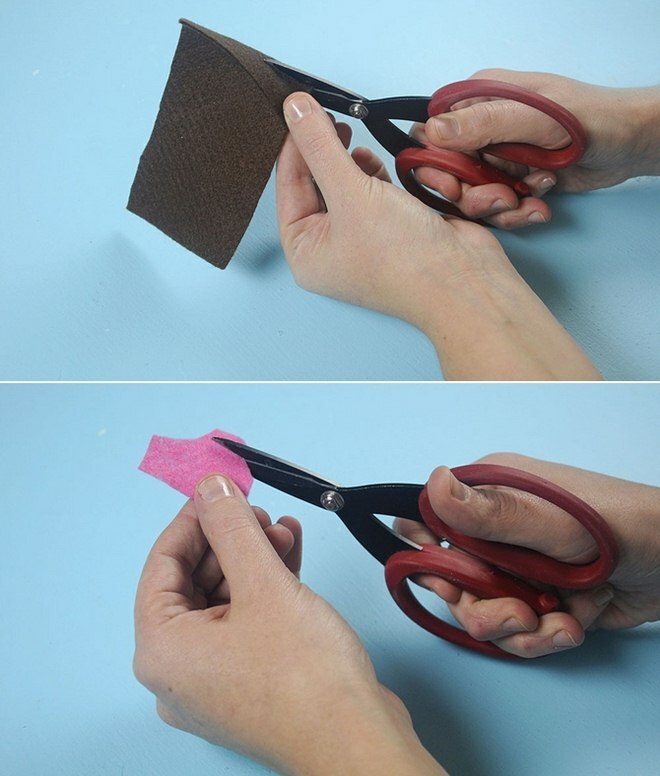 Do the same with the other felt fabric in a different color. 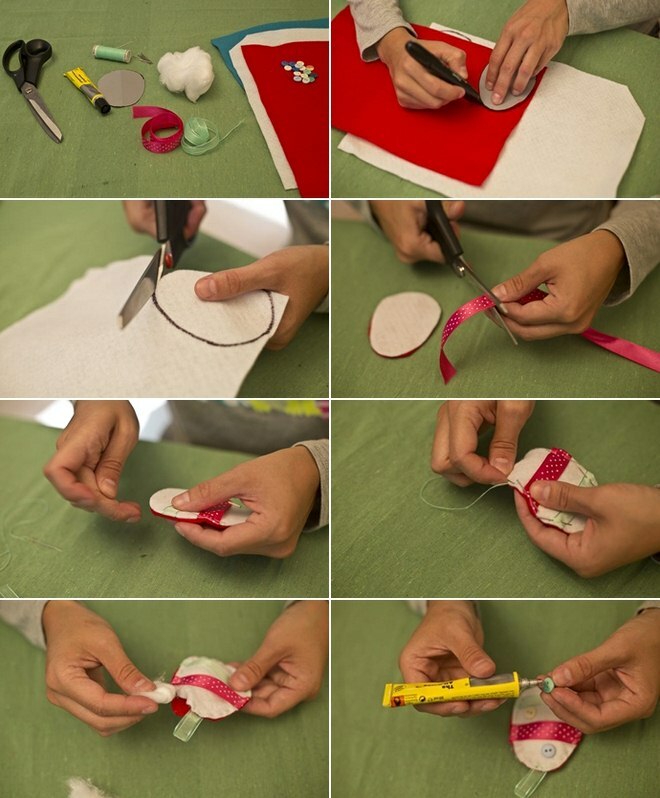 Cut pieces of red ribbon in the same width as the egg and attach it with pins to the felt fabric. Use the needle and thread to stitch around the edges to combine both egg parts and to sew the green loop for hanging. Leave 1-2 inches on top to fill with wadding. Glue some colored buttons on the front of the egg. 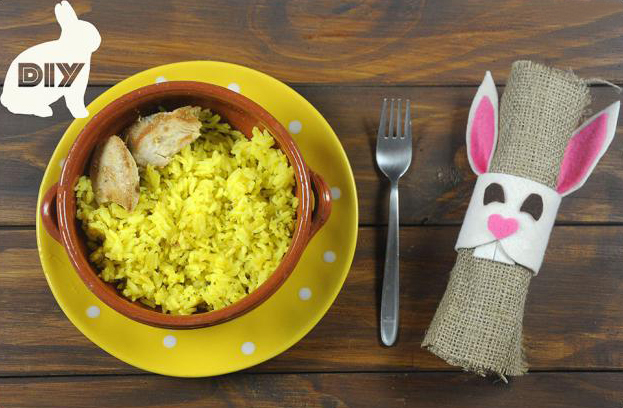 If you’re planning an Easter brunch and you’re expecting children among the guests, we recommend making these bunny napkin rings with kids. They will be having so much fun and the napkin rings were much fun with them and will be a great detail for your Easter table decoration. 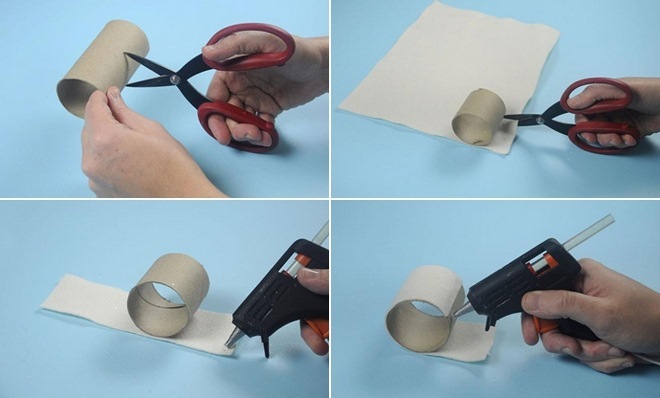 Cut the toilet paper roll in half. 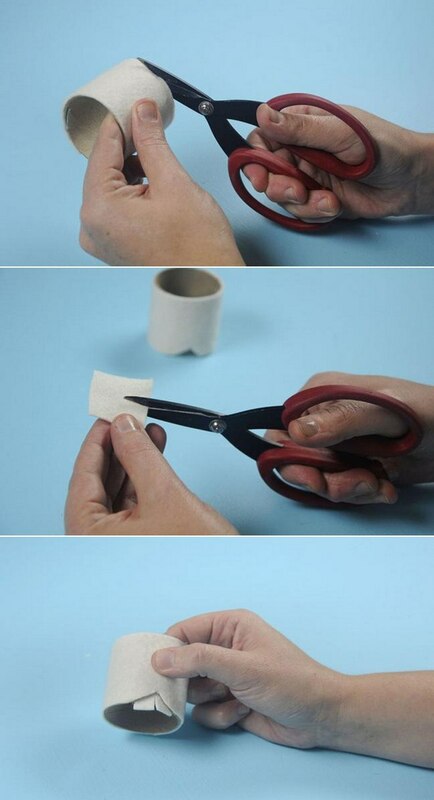 Wrap with white felt and secure with hot glue. Using scissors shape the mouth. 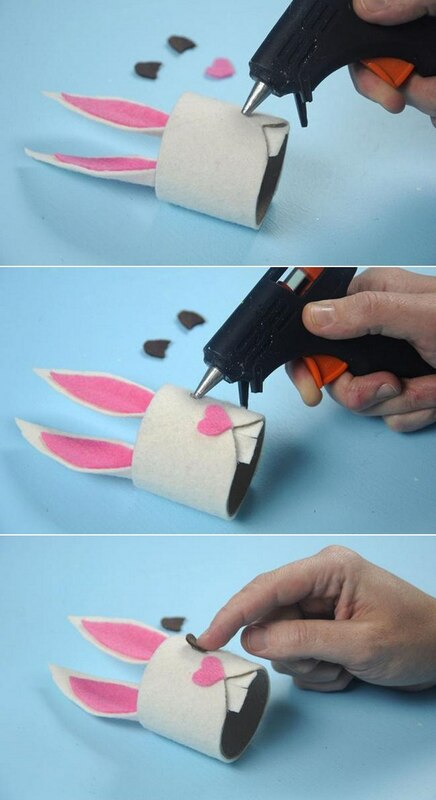 Cut rabbit teeth from white felt and glue on the inside of the toilet paper roll. Keep working with white felt and cut a pair of ears. Repeat the shape with the pink felt, but this time make them a bit smaller. Glue the pink felt pieces in the white ears and attach them on the napkin ring. Make brown eyes and a cute pink nose. 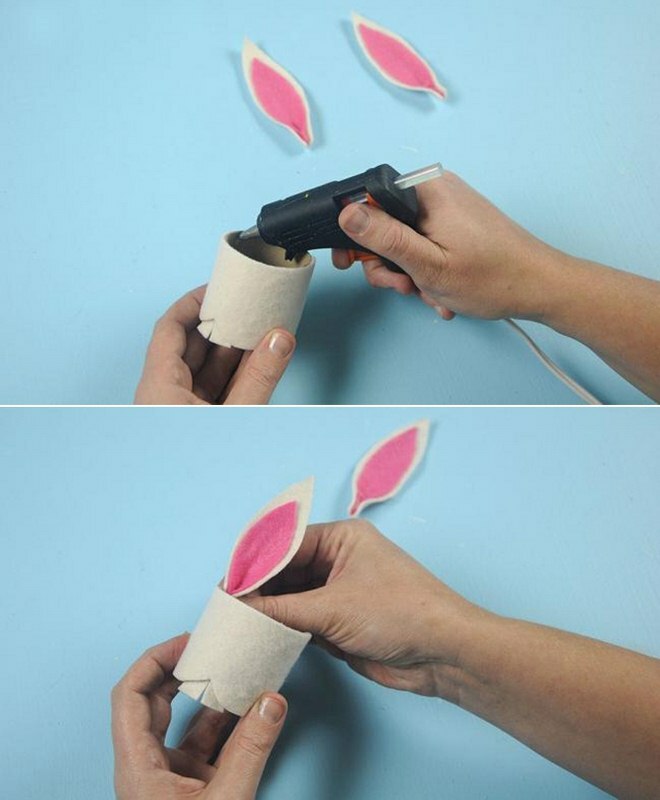 Glue them on the napkin ring to finish the bunny face! It looks cute, doesn’t it?